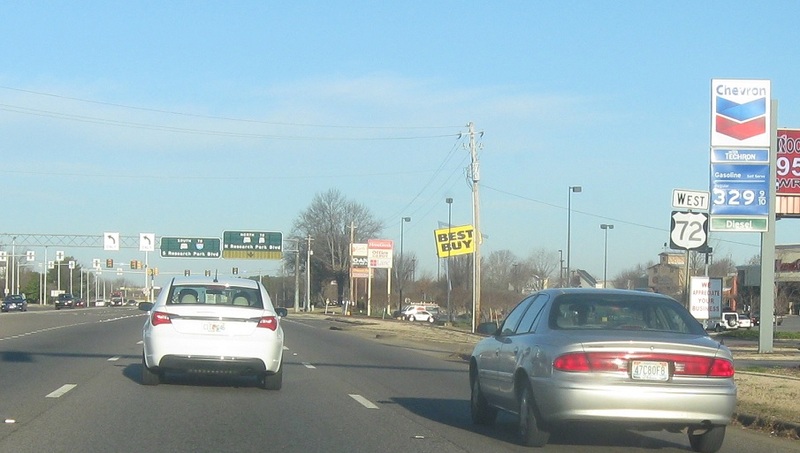 Reassurance shield a few blocks after the SR 53 junction. Reassurance shield a few blocks later as we approach SR 255. 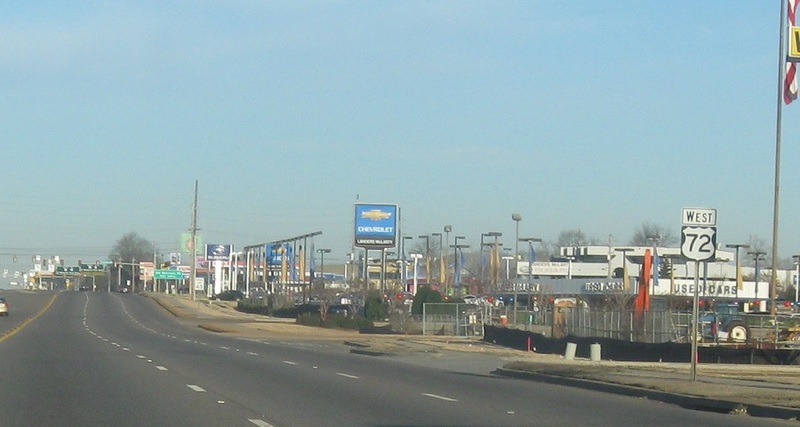 The picture is not screwed up – those are unique big green signs with slats in them, presumably to stop wind? 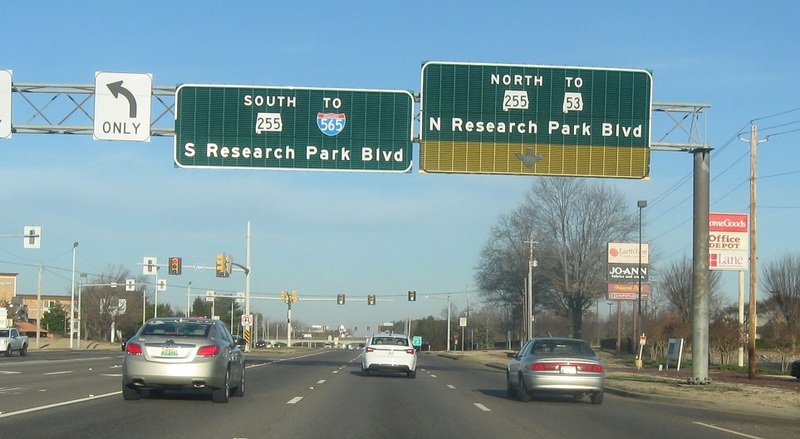 Exit right for SR 255 north. 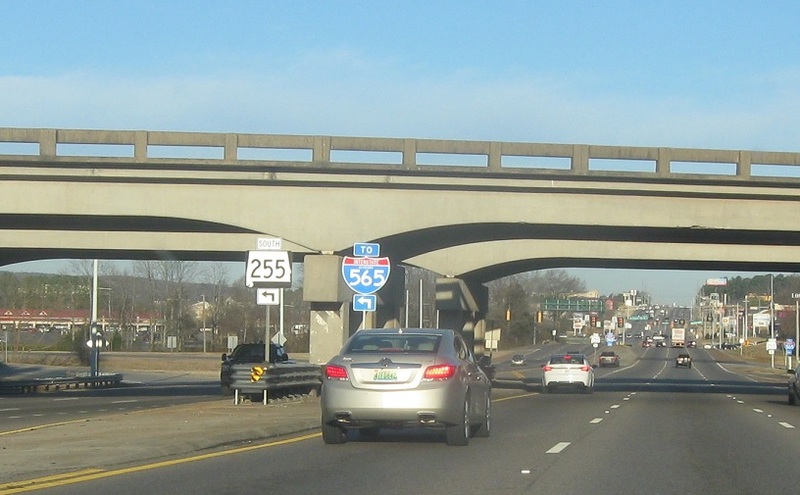 Turn left ahead for SR 255 to I-565. 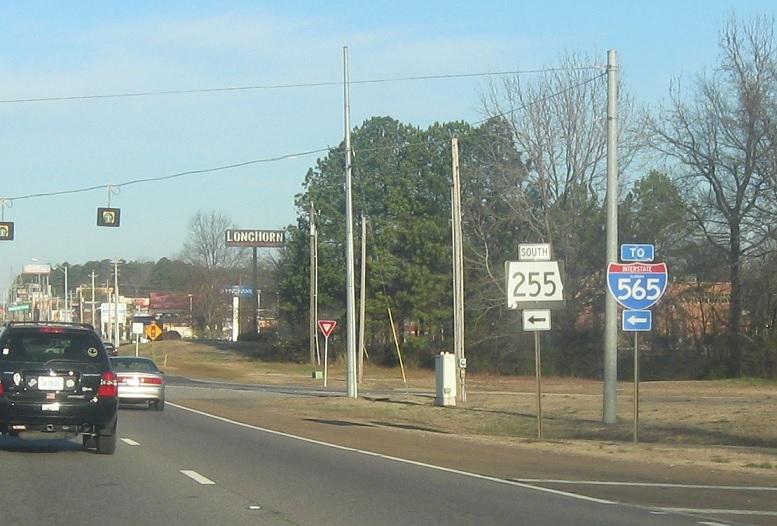 Turn left for SR 255 south to I-565.